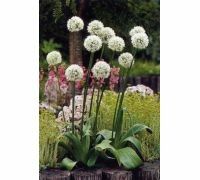 We offer high quality bulbs of the ornamental onion, one of the most beautiful plants that bloom in early summer. 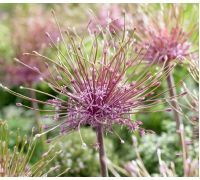 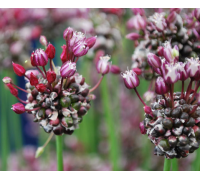 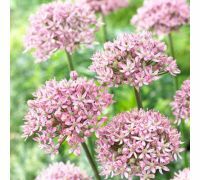 There are varieties differing significantly in height, inflorescence shape and colour among the Allium genus – it is hard to believe that the giant onion (Allium giganteum) is closely related to the subtle Neapolitan garlic, yet it is true! 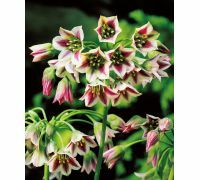 So if you cherish diversity and value resistant, easily cultivated, reliably blooming plants, you’ve come to the right place. 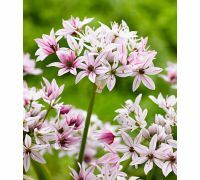 This section encompasses a selection of popular and coveted onion, leek and garlic varieties that are perfectly fitted for cultivation in our climate conditions. 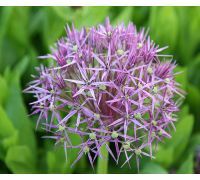 We strongly recommend the golden-pink composition of the yellow or golden garlic with the pink lily leek. 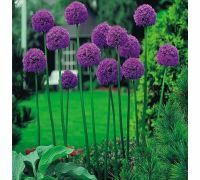 You may also adorn your flower beds with the round, cornflower-blue inflorescences of the blue globe onion or the Persian onion that develops meshy inflorescences consisting of delicate star-shaped flowers. 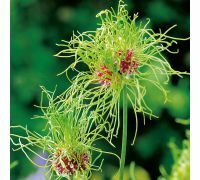 The „Hair” garlic variety also takes on extremely ornamental form, as its inflorescences look like unkempt heads. 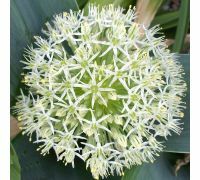 We could not omit our favourite here – the giant onion producing impressive flower balls and growing up to 150 cm tall. 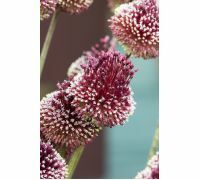 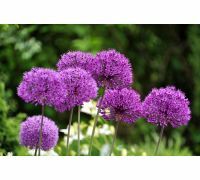 The undecided may simply use our mix of lower growing ornamental Allium varieties. 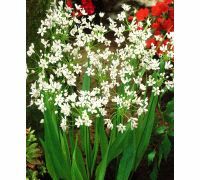 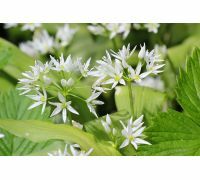 Grow them on a lawn and you will be able to admire a dense carpet of white, golden, pink and violet blooms in different shades. 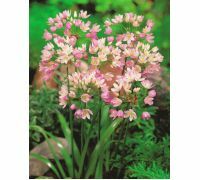 Our online garden store sells Dutch bulbs, tubers and seedlings of popular and coveted perennial plants. 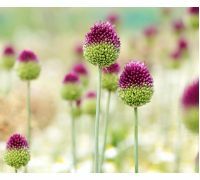 Take a look ot our offer of the ornamental onion bulbs and decide, which variety meets your requirements. 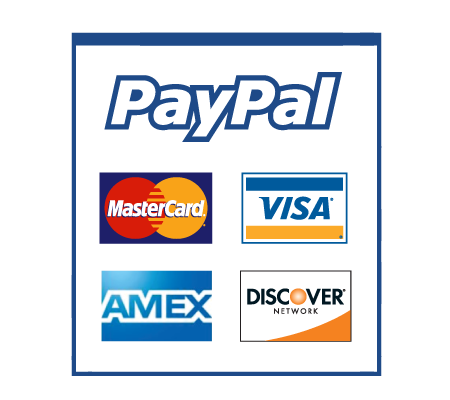 Then order at a very competitive price!